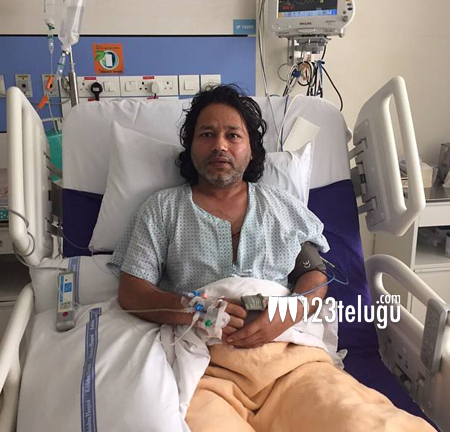 Playback singer Kailash Kher was hospitalized in Mumbai following his return to India from New York yesterday. This news was confirmed by Kailash Kher himself via his social networking page. Although he didn’t reveal the nature of the illness, it seems to be a grave health issue. He posted a photo while getting treated in a private hospital and said that ignorance of health took him to a place where people never want to visit. Kailash Kher became familiar in Tollywood with super hit songs like ‘Kammukunna Chikatlona’ from Arundati and ‘Pandaga la digi vachavu’ from Mirchi. He has won Filmfare award as best playback singer for the Mirchi song. He has crooned over 500 songs across 20 languages including Telugu. His last song in Telugu is ‘Enduko Enduko’ from Gopala Gopala movie.